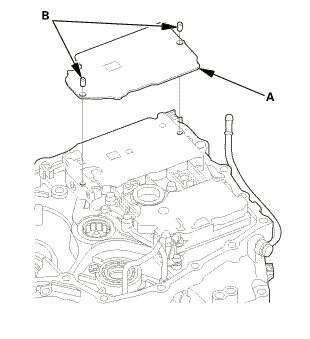 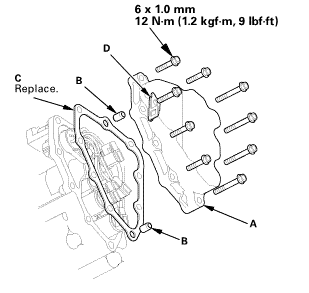 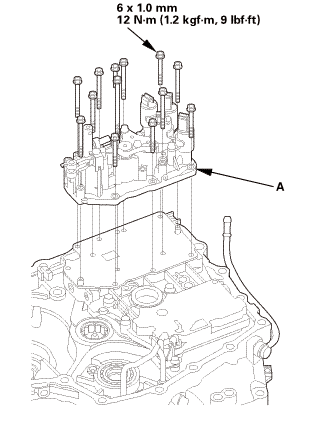 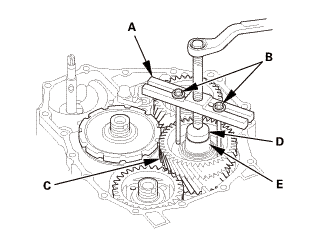 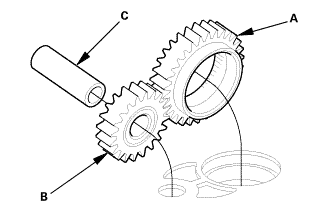 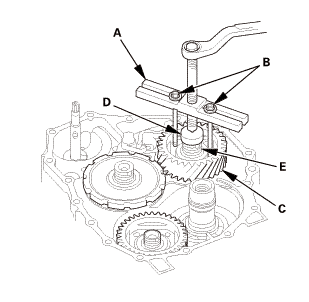 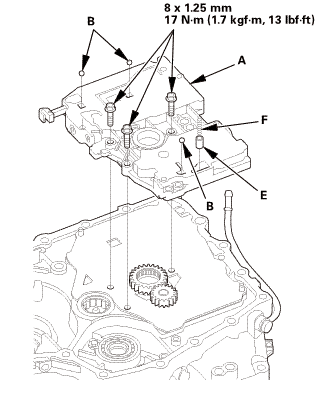 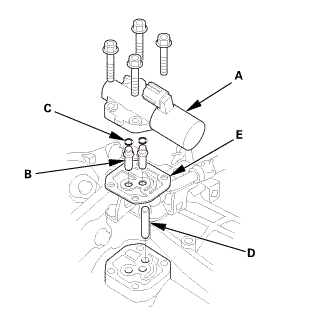 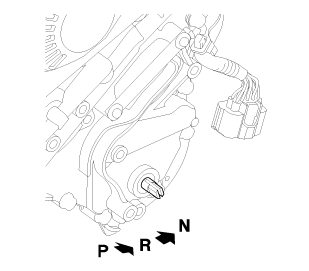 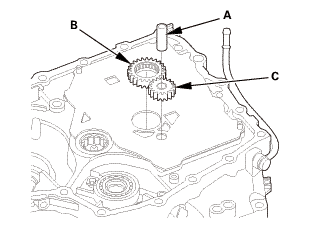 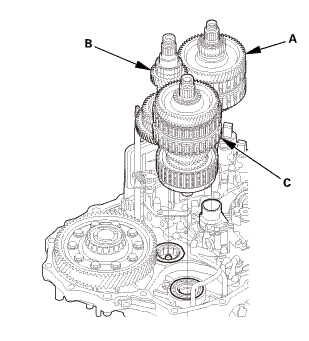 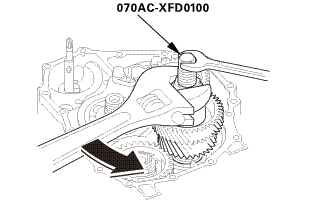 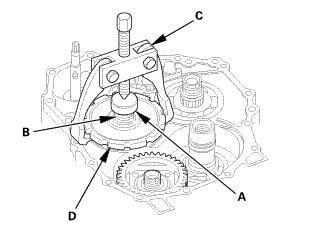 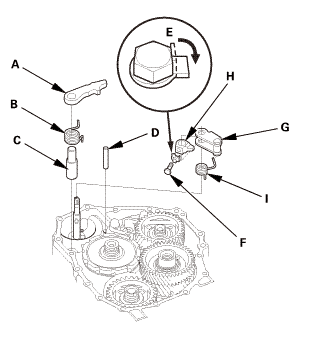 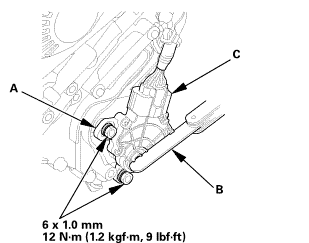 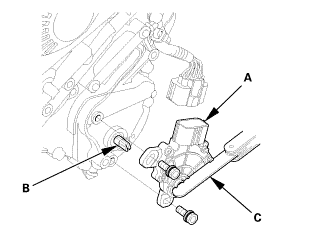 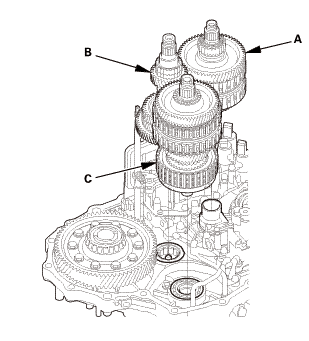 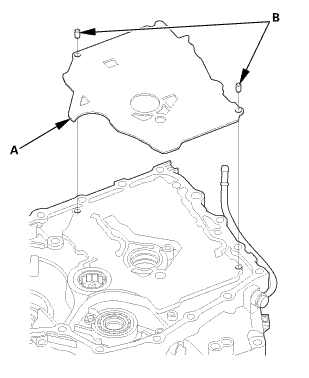 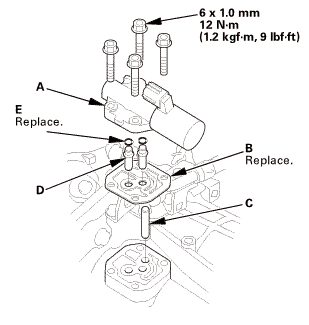 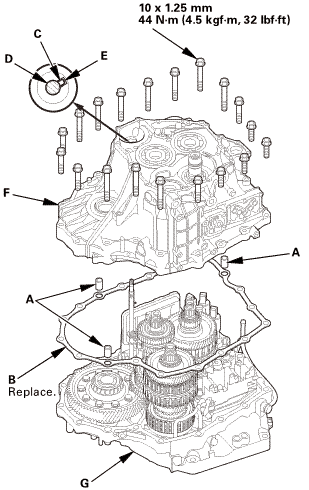 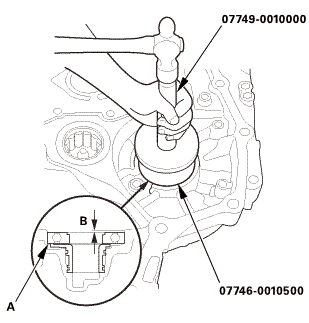 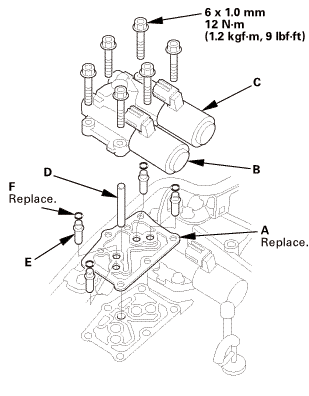 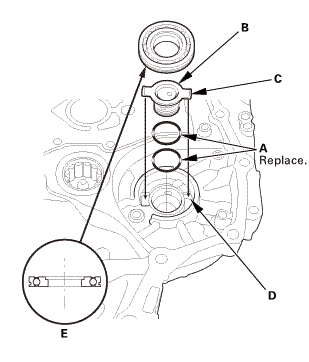 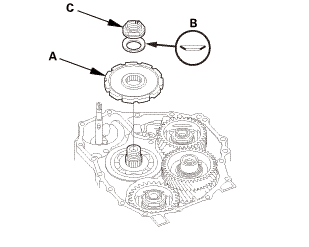 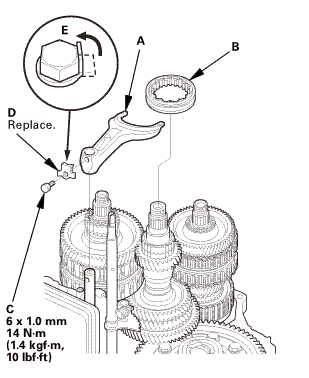 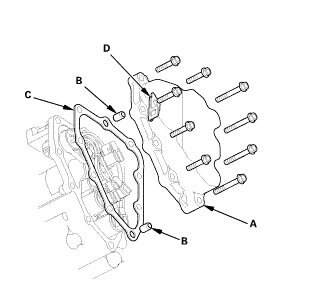 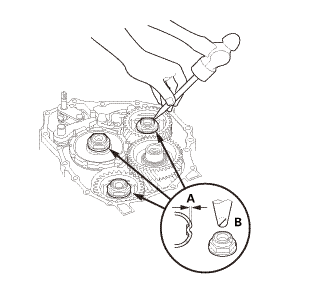 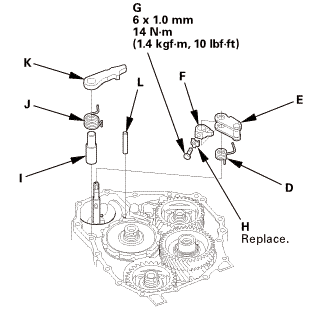 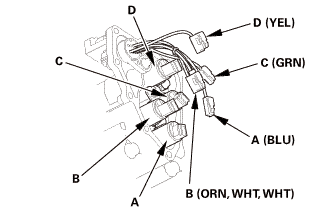 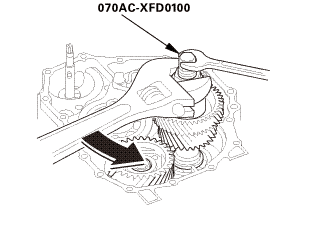 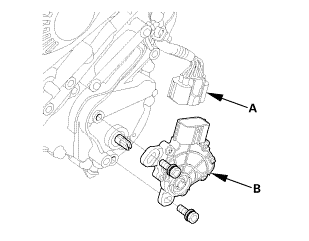 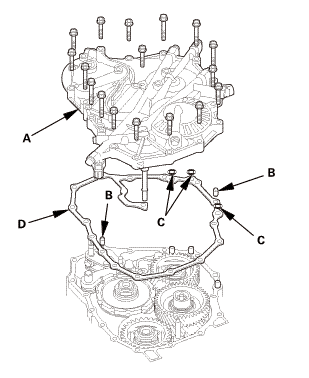 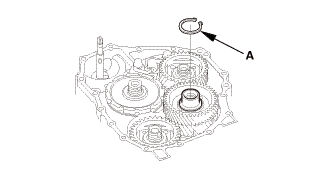 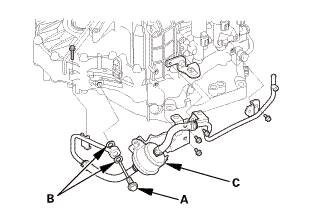 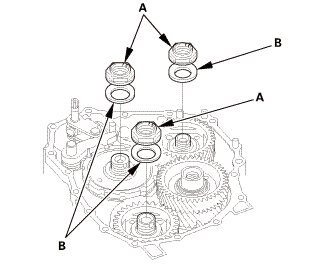 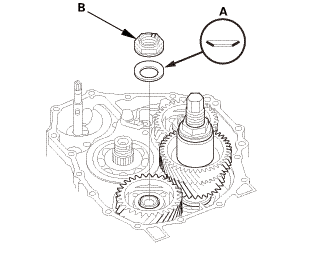 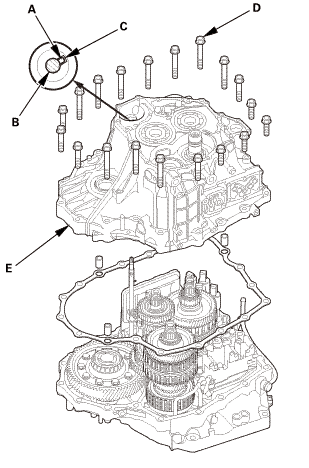 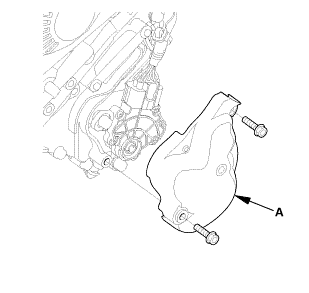 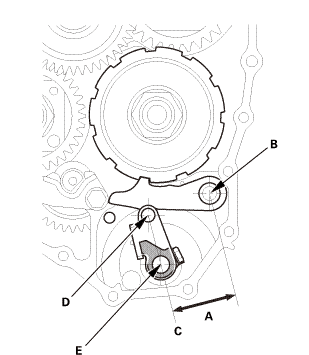 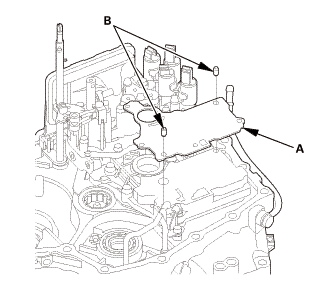 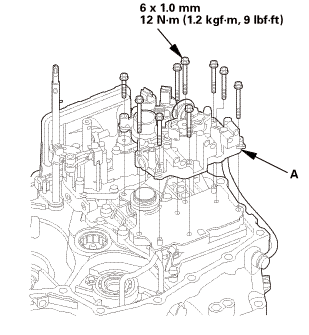 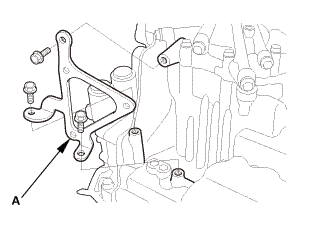 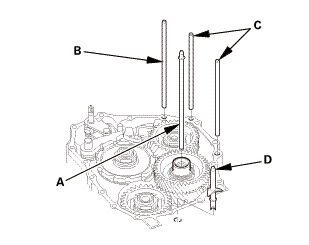 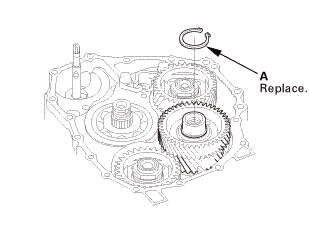 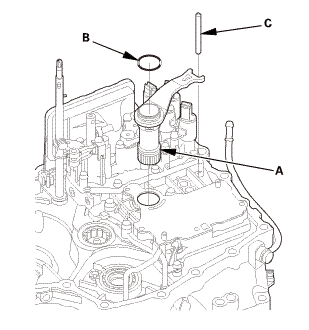 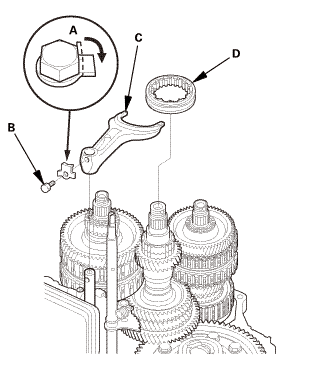 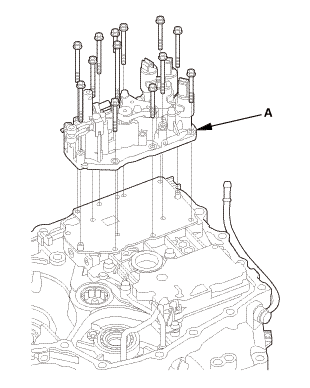 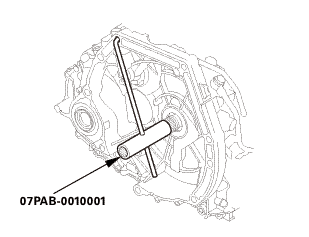 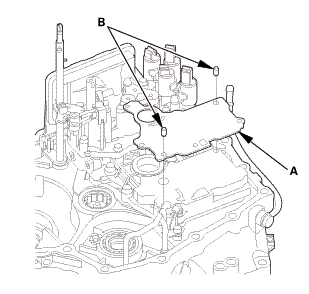 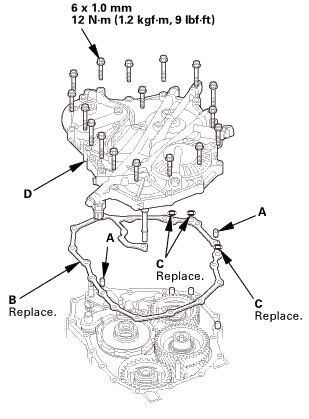 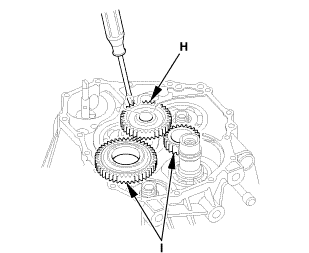 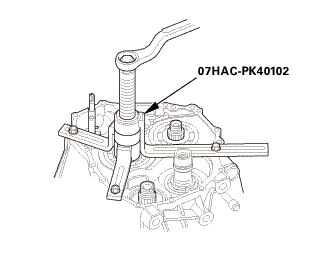 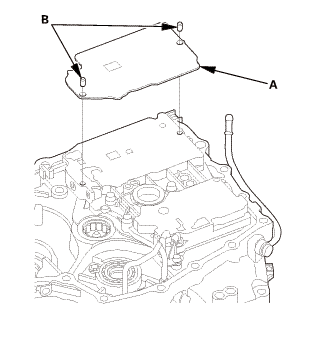 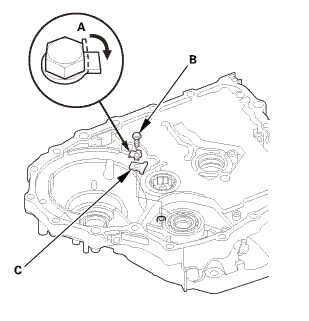 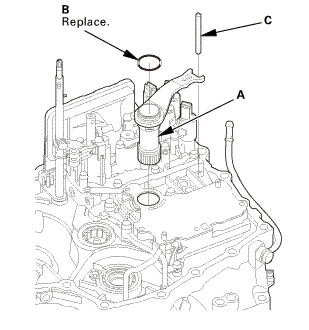 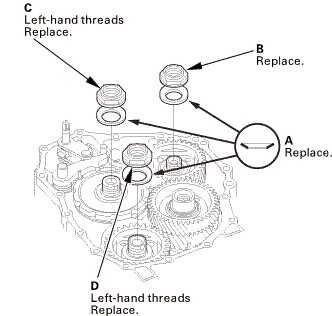 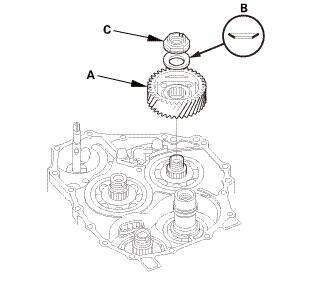 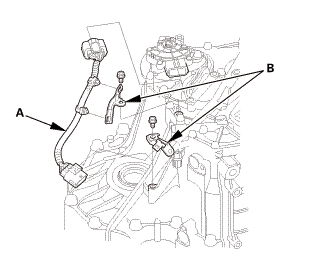 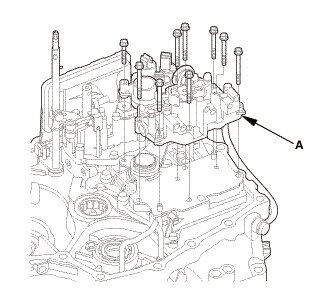 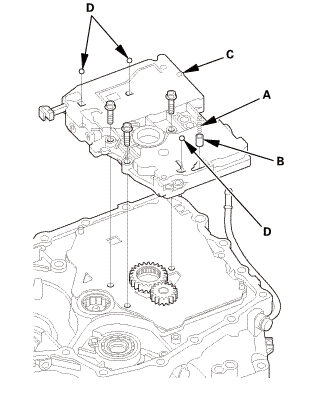 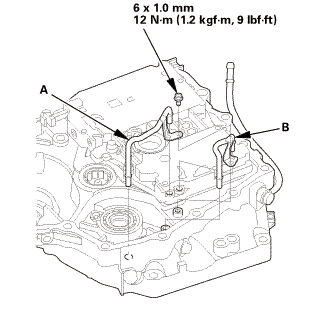 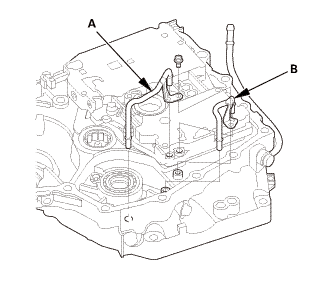 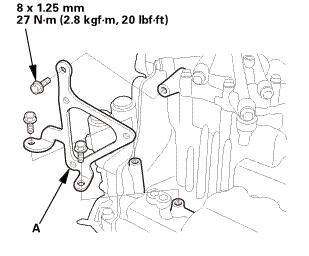 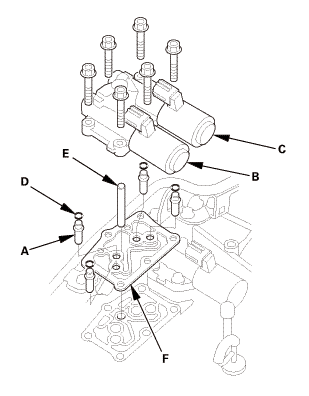 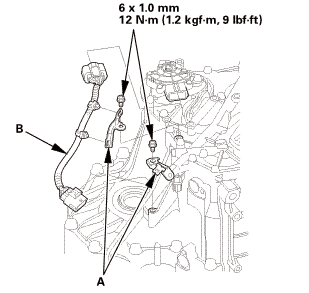 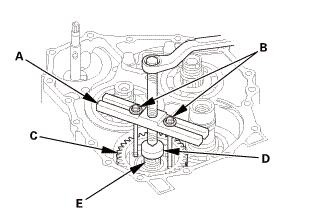 Remove the set plate bolt (B), the lock washer, and the bearing set plate (C). 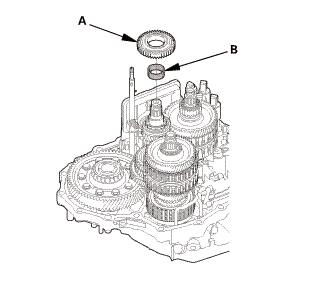 Remove the secondary shaft bearing (A) by heating the torque converter housing to about 212 °F (100 °C) using a heat gun (B). 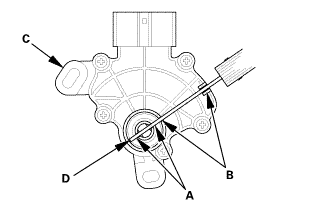 Do not heat the torque converter housing more than 212 °F (100 °C). 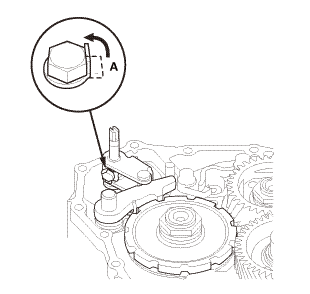 Let the torque converter housing cool to normal temperature before installing the secondary shaft bearing. 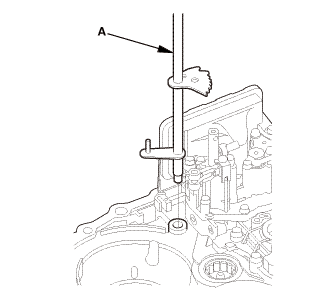 Remove the ATF guide collar (C) with the O-rings. 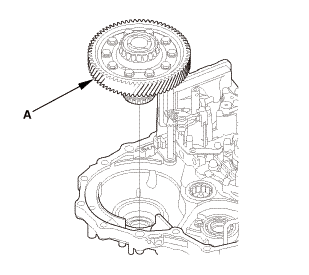 Clean and dry the ATF guide collar surfaces and the torque converter housing if necessary. 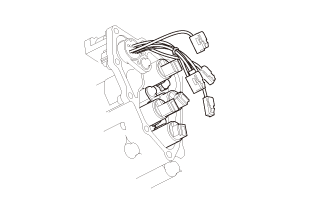 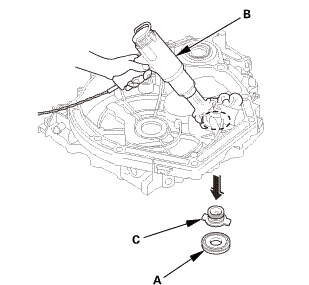 Apply a light coat of clean ATF on new O-rings (A). 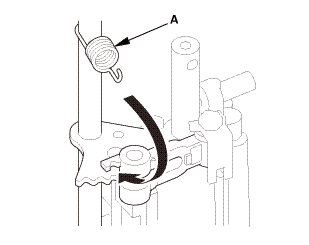 Install the O-rings on the ATF guide collar (B), then install the ATF guide collar by aligning the tabs (C) with the grooves (D). 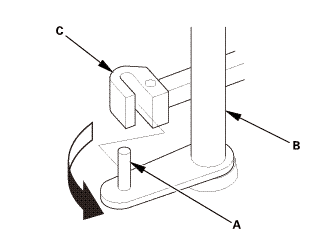 Install the secondary shaft bearing (E) as shown. 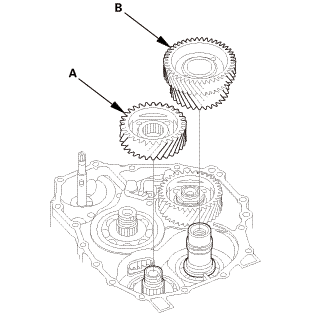 Install the countershaft bearing (A) securely in the torque converter housing to a depth (B) of 1.935－1.965 mm (0.07618－0.07736 in) below the torque converter housing surface using the driver handle and the 62 x 68 mm bearing driver attachment. 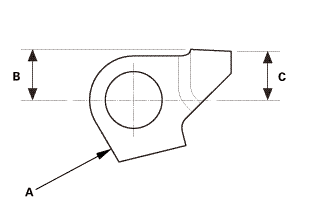 Check that the bearing groove aligns with the torque converter housing surface, then install the bearing set plate (A) with aligning the bearing groove. 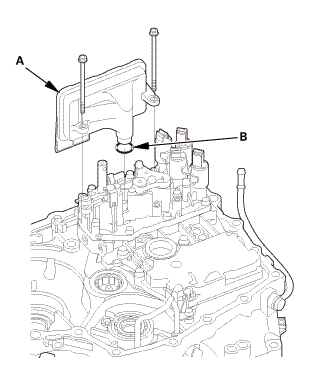 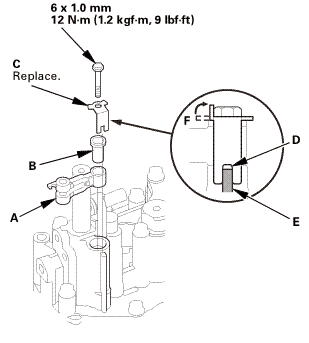 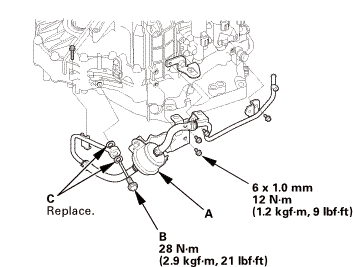 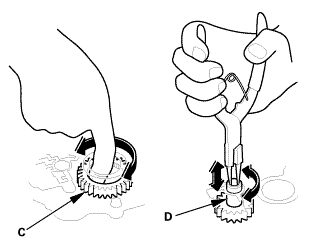 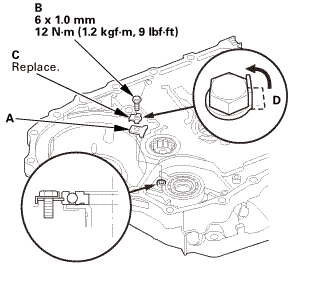 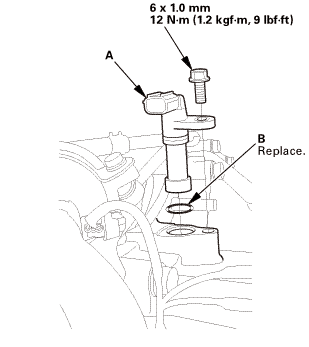 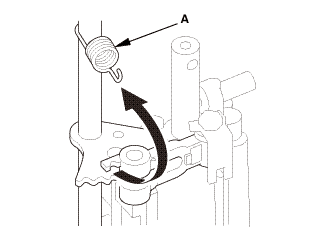 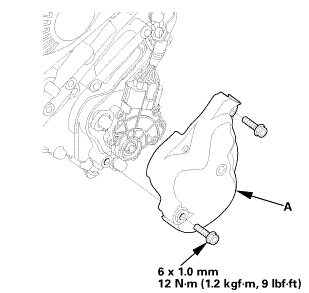 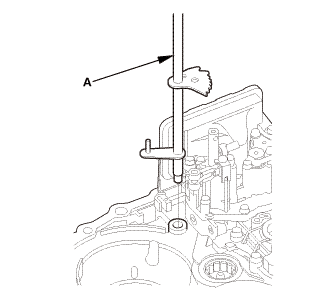 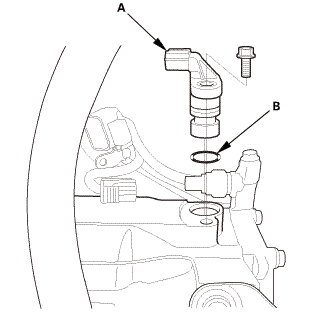 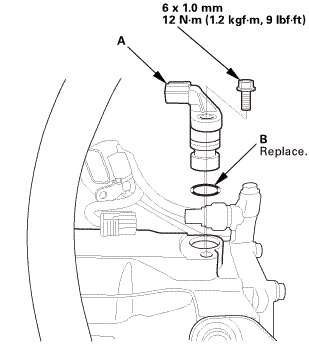 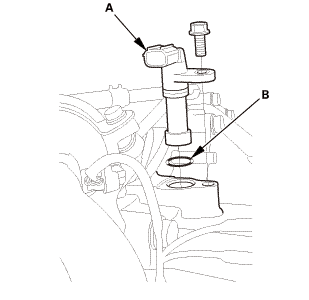 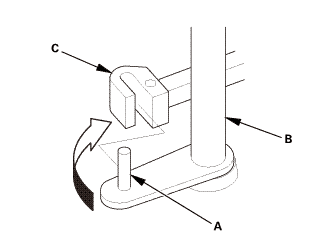 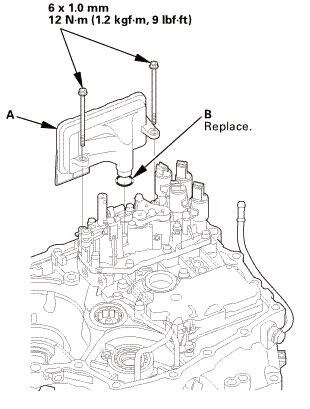 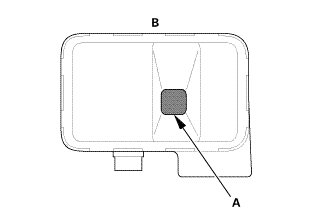 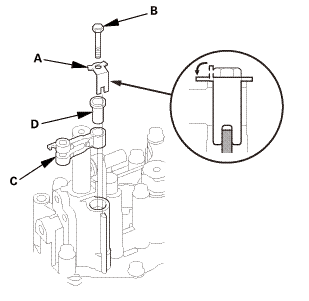 Install the set plate bolt (B) using a new lock washer (C). 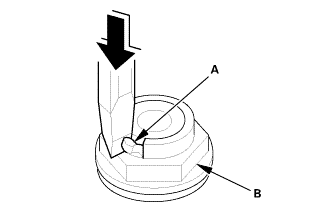 Bend the lock tab (D) of the lock washer against the bolt head.